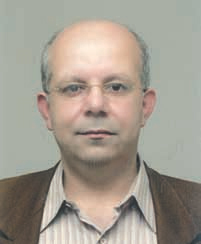 Dr. Khaled EL-Radaieh is presently working as Associate Professor in Department of Anesthesiology and intensive Care, Faculty of Medicine, Jordan University of Science and Technology. Now, He is chairman of the Department of Anesthesiology and intensive Care in King abdullah university Hospital in Irbid Jordan. 1995 completed Dr. EL-Radaieh his specialty as Medical doctor and Facharzt in the Anesthesiology and intensive care Department at Diakonissenhaus Hospital-Leipzig, Teaching hospital of the Leipzig University, Germany. 1. Khaled M EL-Radaideh, Mohammed Ahmed Al-Ghazo and Kamal Eddin Bani-Hani Combined Subfascial and Subcutaneous Bupivacaine Installationfor Inguinal Hernia Wounds Asian Jounal of Surgery, VOL 29. No 4. October 2006: 242 – 246. The efficacy of fentanyl as an adjunct to vertical infraclavicular brachial plexus block performed with lidocaine and bupivacaine. 7. Qasaimeh GR, Amarin Z, Rawshdeh BN, El-Radaideh KM. Laparoscopic Diagnosis and Management of an Abdominal Cocoon A Case Report and Literature Review. Surg Laparosc Endosc Percutan Tech. 2010 Oct; 20(5):e169-71.